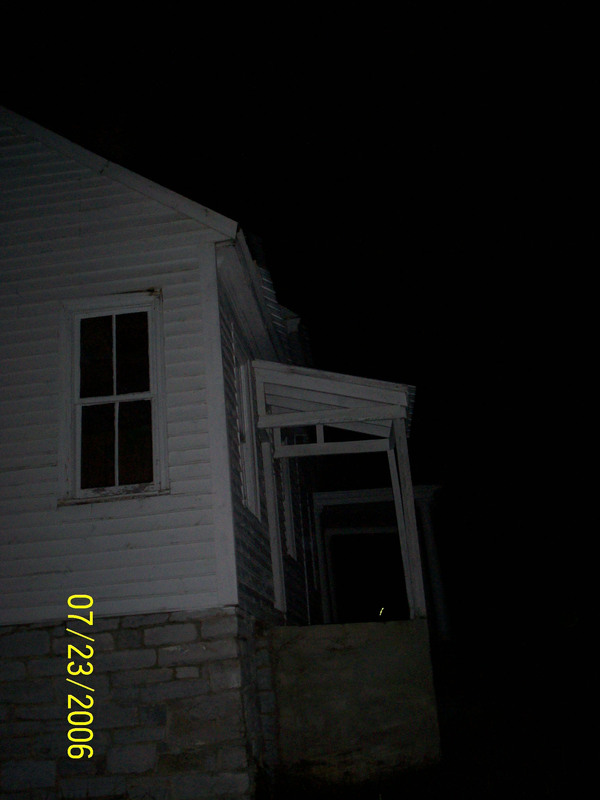 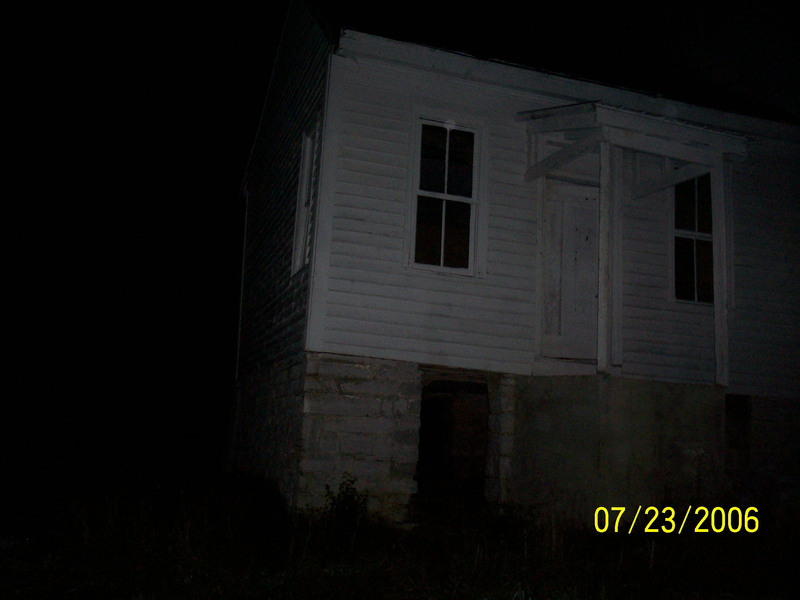 Some more orbs above the window and the door. 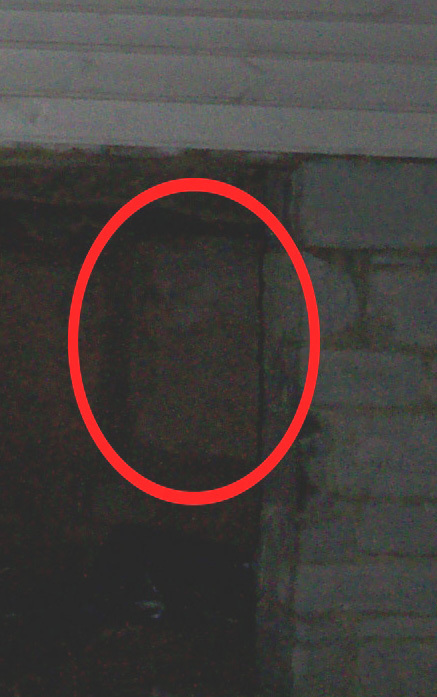 There is what appears to be a face with a beard in the red circle. 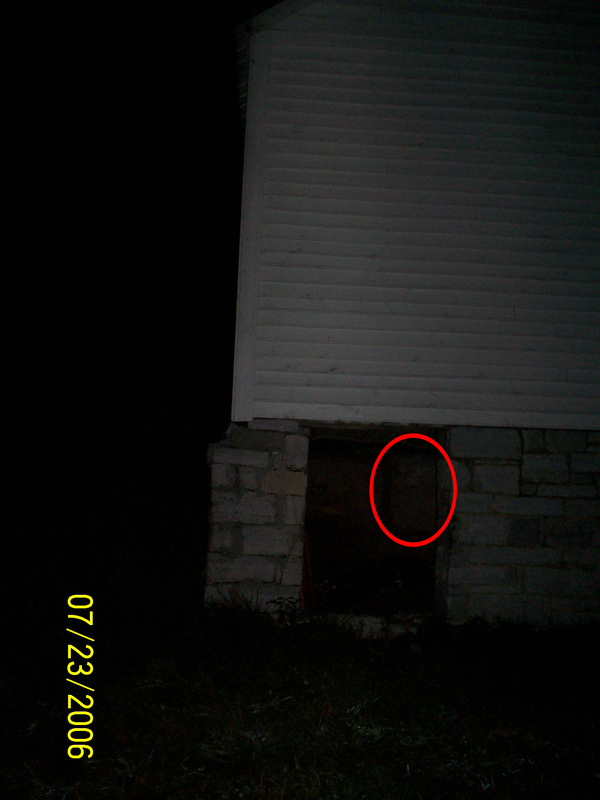 This is what appears to be the face. 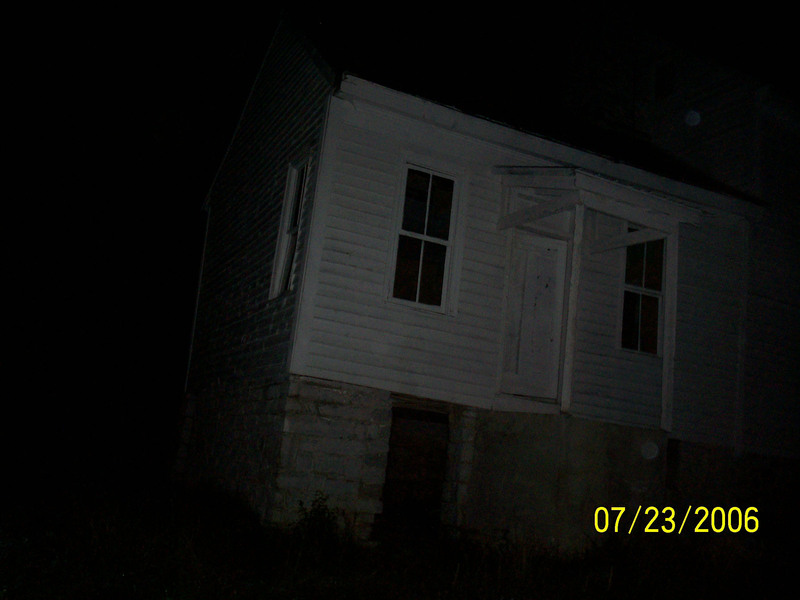 This picture has been enhanced.